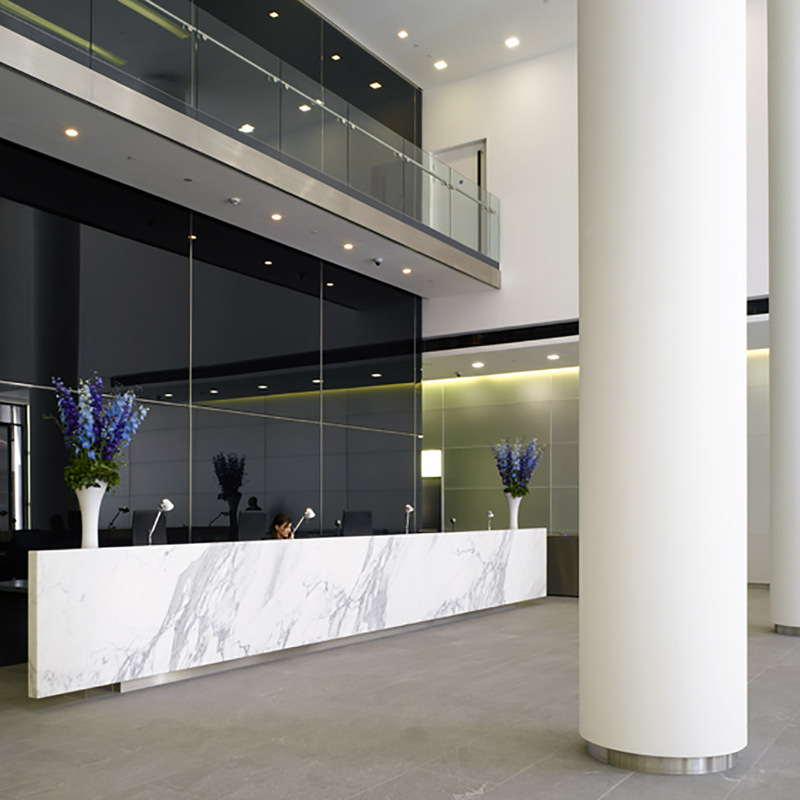 An Interior refurbishment project to modern offices near London Bridge in The City of London. 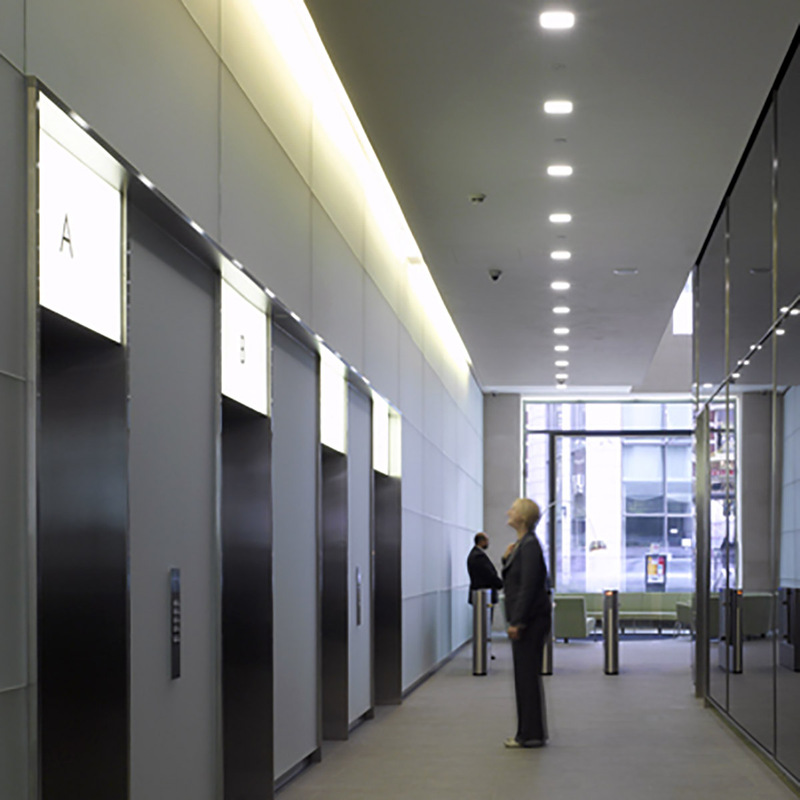 A low visual impact lighting approach was taken by using trimless luminaires, as the reduction of detail was a key ingredient to this lighting strategy. 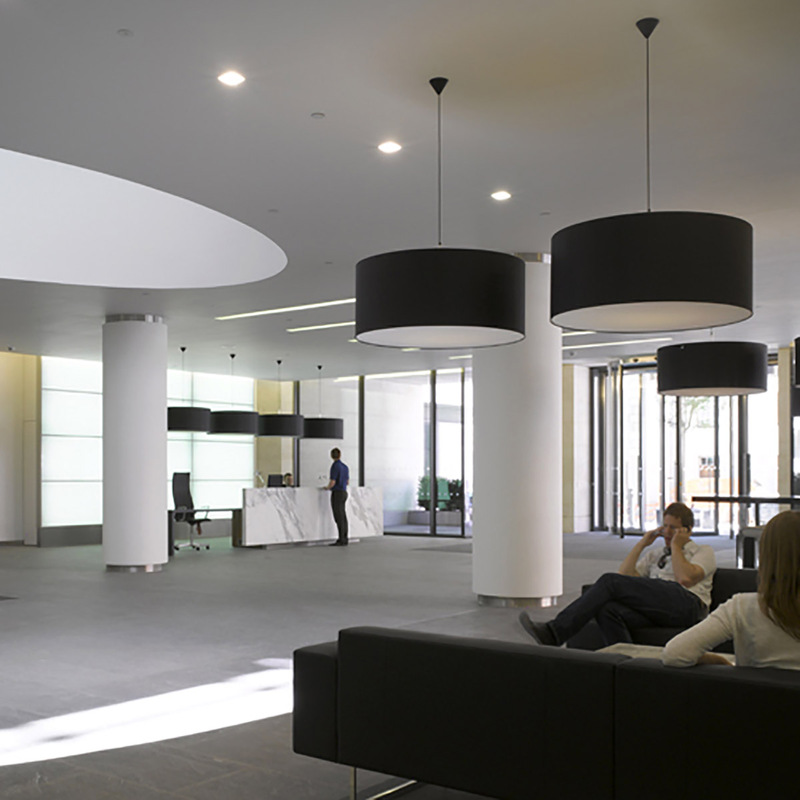 The Linear slots are open cove apertures allowing air movement through the open face, further reducing the unsightly impact of ugly return air grilles in the reception area. 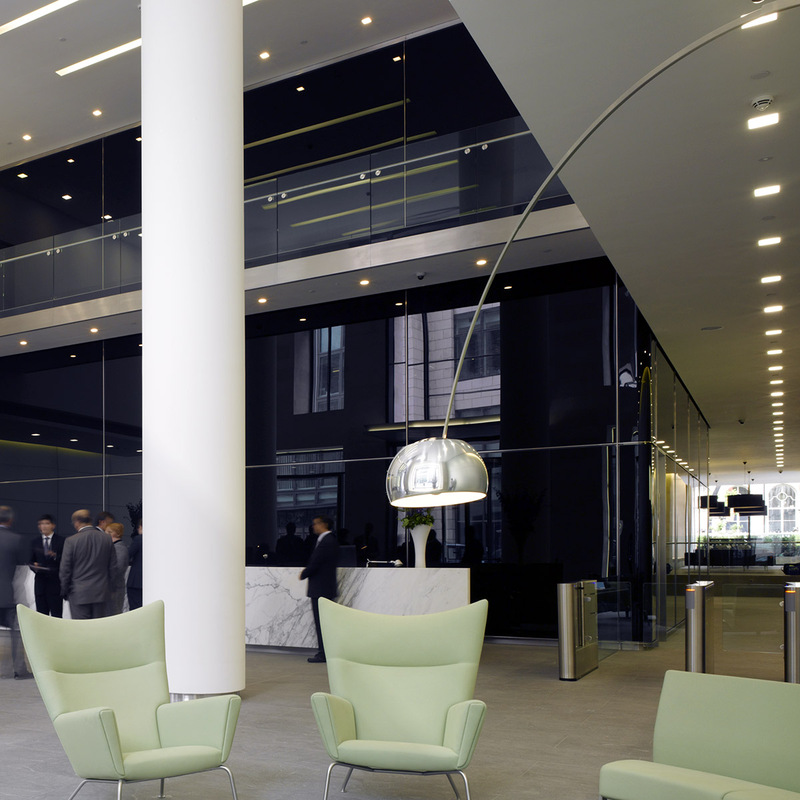 This is a totally refurbished 18 floor tower of rentable office space and the main open plan floors have well illuminated central cores. 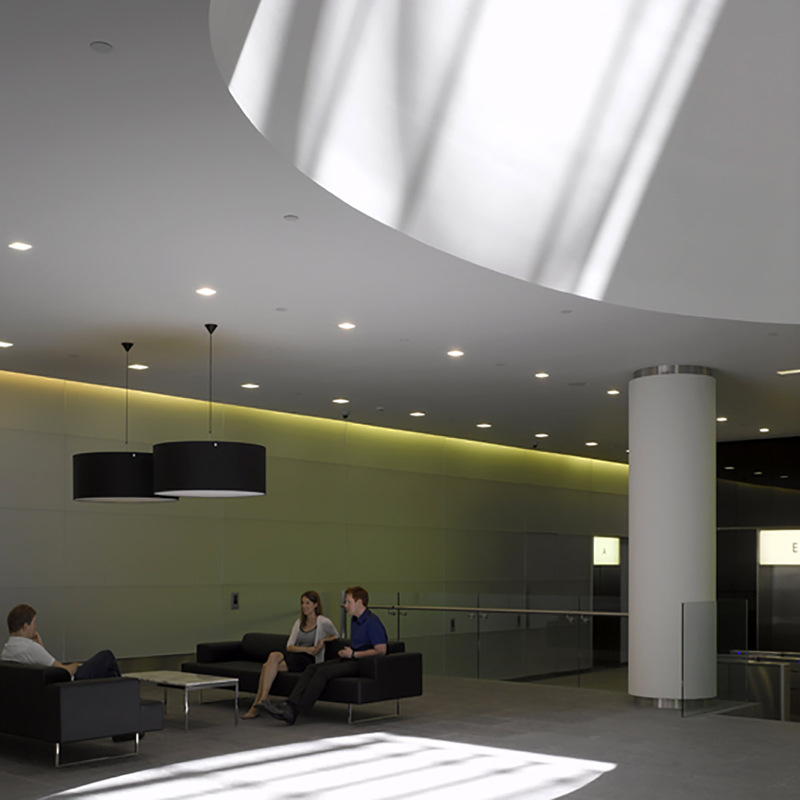 The minimal lighting approach serves to create a harmonious environment that enhances the space and its high quality surfaces; in these days of competitive rental of offices, this building stands out as a desirable workplace.